In latest study researchers found that eating nuts on regular basis will help us to strengthen brainwave frequencies associated with learning, memory, cognition and other brain functions. In present study researchers found that some brain frequencies are stimulated by taking some nuts as food. Pistachios, serving as an instance source for production of gamma wave response, which is difficult to strengthen cognitive processing, information retention, learning, perception and rapid eye movement during sleep. Nuts belongs to legumes, but are still a part of this study, produced the highest delta response, which is associated with healthy immunity, natural healing, and deep sleep. Researchers were taken six different kinds of nut for testing, in that all have high beneficial antioxidants, among them walnut has highest concentration. 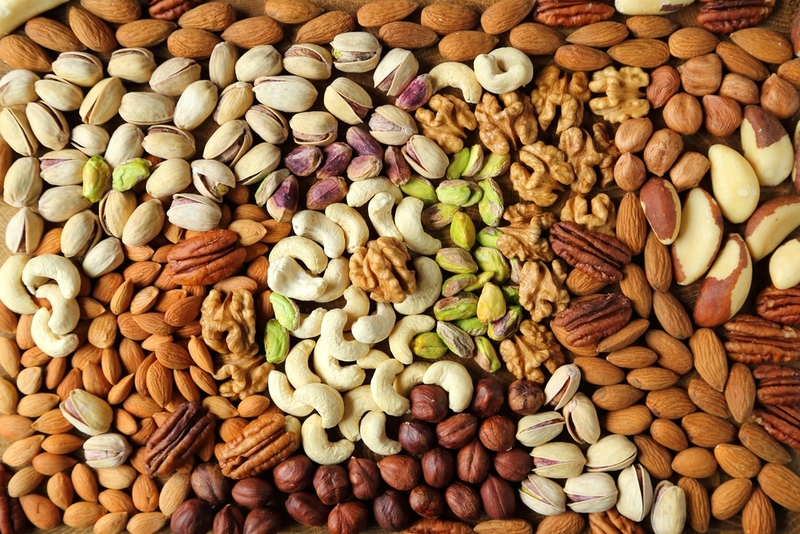 From the previous study results on nuts, nuts are benefit to body in several significant ways like protecting the heart, fighting cancer, reducing inflammation and slowing the aging process, but a little research is focused on how they affect the brain, this study demonstrated that nuts are as good for the brain as they are for the rest of the body. In further studies, researcher reveled that nuts make other contributions to the nervous system besides the brain. From the four decades of research into the health benefits of happiness and laughter, as well as a cluster of recent studies on the antioxidants in dark chocolate — assembled a team of 13 researchers to explore the effects of regular nut consumption on brainwave activity. This team developed a pilot study on the basis of who consumed different kinds of nuts like cashews, peanuts, almonds, pecans, pistachios and walnuts. Electroencephalograms (EEG) were taken to measure the strength of brainwave signals. The EEG wave band activity was then recorded from nine regions of the scalp associated with cerebral cortical function.